Katherine C Ferguson & Nicola Cowie are co-creators of Guildford’s ‘The Artists Nook’. Established in August 2017 as a creative space to showcase their work and that of other local Artisans, and to provide inclusive boutique workshops. Their shop is based in the tranquil Ethel Street Courtyard, just behind the popular James Street Bakery. They began life in a nook of the courtyard but are now transitioning to a slightly larger space next door to bring their workshop space in house. Affectionately known as the ‘Nook’ they now represent over 40 local handmade artists and this number is always growing. 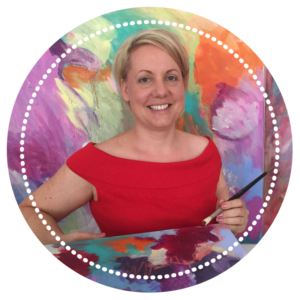 Katherine is an abstract artist & Future Coach and has been practicing art for over 20 years. She attended Kent Institute of Art & Design and went on to gained her Bachelor of Arts (Hons) degree in 1998 from University of Northumbria, in the North East of England. She is a mixed media artists and her work encompasses layers of colour and movement and heavily reflects her personality. She is passionate about sharing her skills by providing inclusive workshops for all abilities and sharing her passion for creativity. Since emigrating to Western Australia in 2008 she has been working in the arts both in the Perth region and in the Kimberley region of Western Australia. Nicola has over 18 years of printmaking experience, graduating from Gray’s School of Art in Scotland. Since graduating she has lived in both Australia and Indonesia currently resides in the beautiful Perth Hills of Western Australia. 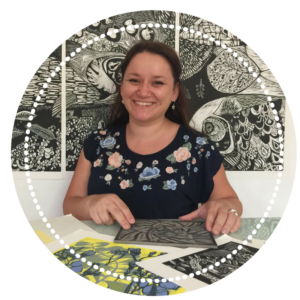 She is influenced by the native plants and landscapes of where she lives and the richness of the Western Australian flora & fauna provides infinite inspiration that she shares in her printmaking workshops.